Recruits from over 1215 clubs have public profiles and use our free College Matching Service to learn about your program. Target and track recruits that fit your program. If you are a college coach and you do not see a college coach tab within your dashboard, then contact us. If you have a password, then log in. If you need a password, then set it. If you can't set it, register your email. Message us after logging in or registering to get added to your college so you can manage it. Watch highlights and access recruiting profiles. Log in to see all playlists within player videos and filter highlights by position and grad year. View recruiting profiles and video without logging in. 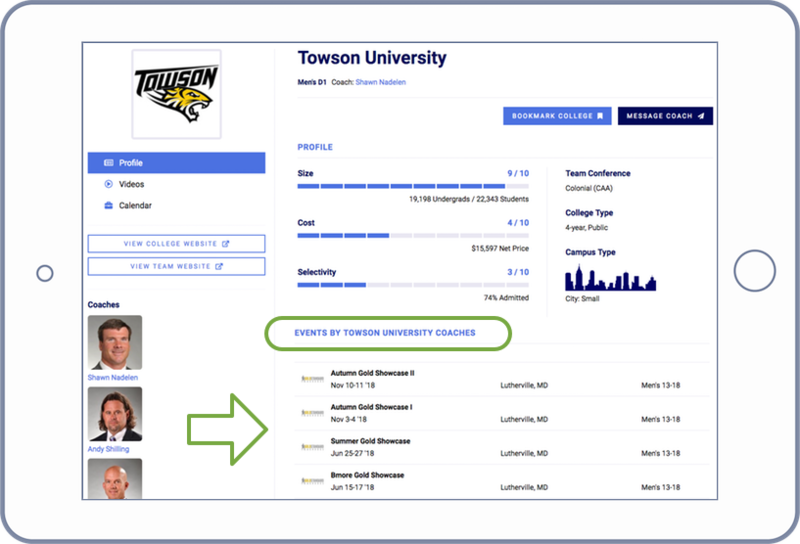 Seamlessly transfer player info and video from our profiles to your college coach database. Easily access player info and contact coaches. We limit recruits to messaging one college at a time to avoid generic emails to you. How is my dashboard updated? 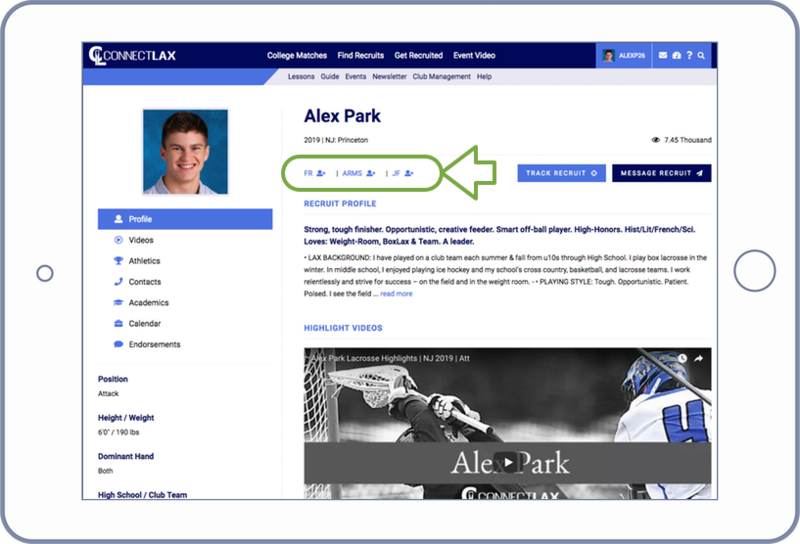 Your recruit database is automatically updated when players edit their profile, such as adding a new highlight video, uploading a transcript, updating test scores, etc. Do players or club coaches see my info? No, your database, target list of recruits and entire dashboard are private and only shared among your registered coaching staff. Yes, our coach dashboard and video library are free today and forever. If we can improve it and make your life easier, let us know how by messaging us at the bottom tab. Can I edit info on my colleges profile? Yes, you can edit your commits list, team website, etc... Academic and financial info are from the National Center for Education Statistics (NCES). You can list your prospect days and camps, message us to schedule a coach interview, add description about your program, add videos of behind-the-scenes content and games, conduct an anonymous player experience survey, and more. Is compliance built into your dashboard? Yes. We track player eligibility based on their year and your division. Messages from recruits include links to their coaches contact info.